In this part of the lesson, you'll use the magic eraser tool to quickly convert the backdrop color of the zoo map to transparent pixels. The magic eraser tool erases all pixels of a particular color with a single click. 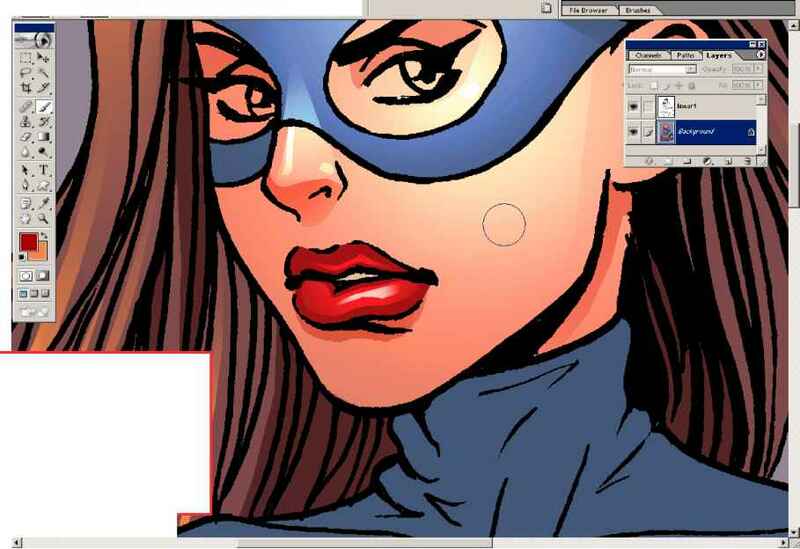 You'll use this tool to erase all of the white pixels in the layer. However, you only want to erase the white pixels outside of the zoo map (not the white of the lettering), so you will first create a selection that excludes the interior portion of the image. 1 Select the rectangular marquee tool ( „). 2 Draw a rectangular selection marquee so that it includes all the text in the five colored regions of the zoo map, as shown in the illustration below. 3 Choose Select > Inverse to select everything outside of the rectangular selection marquee. 4 Select the magic eraser tool hidden under the eraser tool ( ). 5 In the tool options bar, deselect the Contiguous option so that all white pixels in the selection will be erased, including each isolated white section within the leaves. 6 Click the white background outside of the zoo map. Now all the white backdrop is gone, replaced by transparency so that you can see the checkerboard pattern behind the image.